Notes: This church was formed by a group of German Lutherans. 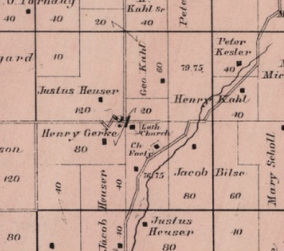 In 1867 a small frame church was built on land purchased from Justus Heuser. Soon after a parochial school was built in a nearby valley. 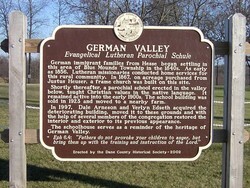 The school taught lesson in Christian values in the native Germany language. In 1923 the school building was sold and moved to a nearby farm. In 1997 the building was purchased, moved and restored to the cemetery grounds. The congregation eventually moved to Mt. 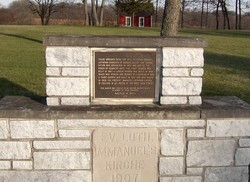 Horeb and became known as Immanuel Lutheran Church.